There are three broad camps on how to deal with an increasingly unruly Pyongyang. Earlier this month, China voiced its unhappiness with North Korea for firing four extended range Scud missiles into the Sea of Japan. Beijing had suspended all coal imports from its neighbor earlier in February. Pyongyang responded by accusing Beijing of “dancing to the tune of the U.S.” This was not the first time North Korea had thumbed its nose at China. However, Beijing was in for a surprise when several Chinese strategic affairs experts went up in arms and demanded the Peoples’ Republic “abandon” North Korea. In recent times, neither escalating tensions in Sino-Japanese ties nor uncertainties in Sino-U.S. bilateral relations under the “unpredictable” Trump presidency have been the focus for the Chinese. Instead, public opinion has centered on “Fatty Kim the Third” – as the young leader of the DPRK, Kim Jong-un is unflatteringly called in the unofficial and social media in China – making for a debate fraught with controversy and confusion. To its utter dismay, however, the party-state in Beijing is completely at a loss today in coming to grips with the North Korea problem. Currently, there are three distinct schools of thought dominating the discourse on the Sino-North Korean relations in China’s strategic affairs community. Then there are Chinese who are demanding that Beijing abandon North Korea altogether. These are largely pro-reform, pro-free market right-wing leaning public intellectuals and think tank scholars. This group has particularly been very vocal in advocating the as-yet-unacceptable position (to Beijing) of severing ties, especially following the U.S. announcement to forge ahead with deploying the Terminal High Area Altitude Defense (THAAD) missile defense system in South Korea. These scholars believe that THAAD is aimed not at North Korea, but at China, and they blame Pyongyang’s nuclear weapons program for providing an excuse for the deployment. “The U.S. decision to deploy THAAD in South Korea is a disaster for China and it is time China changes its mindset,” Zhao Lingmin, well-known Chinese political commentator recently observed in his column in the online Financial Times (in Chinese). Such “abandon North Korea” advocates claim that THAAD’s arrival in South Korea reflects China’s foreign policy failure and is a slap in China’s face by the United States just before the next month’s Xi -Trump summit in Mar-A-Lago, Florida. To many, such unusually blunt, critical voices are a warning to the top leadership in Beijing that North Korea has hijacked China’s foreign policy agenda. 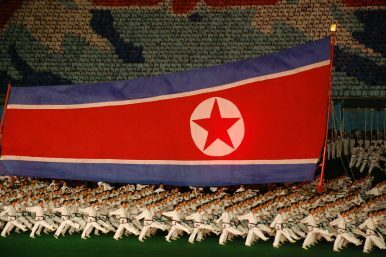 As a result, members of this camp want Beijing to sever all diplomatic, political, and economic ties with North Korea. They are also dismissive of the “as close as lips to teeth” brotherly ties between the two communist neighbours during the Mao era. “Those were different days. Now China has moved on but North Korea is still stuck in the past,” the argument generally runs. Geopolitically, North Korea has become a “negative equity” for China, they further argue. Of the three main positions on the North Korean question in China today, the most unpalatable to both the Communist Party of China (CPC) and to the central government in Beijing is the “eliminate” North Korea theory. Its proponents argue, that the CPC has been obviously caught between the “support” and “abandon” Pyongyang camps for years. They claim the prevailing mood in Beijing is now in favor of giving up on North Korea. Furthermore, with the growing economic interdependence between China and the United States, Beijing is in no position to provoke Washington over the North Korean nuclear issue. Sooner or later, Beijing must choose whether “abandon” or “eliminate” North Korea, according to this third narrative. The group even dares the CPC leadership when it contends Beijing does not have a choice in the matter anymore. Will Beijing make up its mind on North Korea before the upcoming Sino-US summit? Of course, it is true that the Chinese are not known for making sudden departures from their well-known, well-prepared positions. However, it’s also true that strong Chinese leaders like Mao Zedong and Deng Xiaoping did surprise the world with their off-the-cuff political and diplomatic moves. Remember, President Xi Jinping too is believed to be the most powerful CPC leader in decades. The question many are asking in Beijing is Xi is strong enough to thumb Beijing’s nose back at the supreme leader of the Workers’ Party of Korea (WKP)? Would Korean Reunification Threaten China?North Korea and China, Friends Again?What Does China Really Think of North Korea?China, North Korea Extol 'Traditional Friendship' After Kim Jong-un's Beijing VisitWhat Does a Trump-Kim Meeting Mean for China?